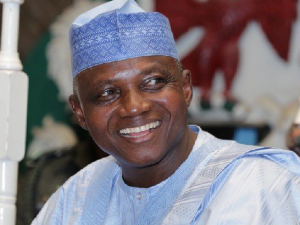 Garba Shehu, Senior Special Assistant to the President on Media and Publicity, says the indefitie suspension of Yusuf Usman as Executive Secretary of the National Health Insurance Scheme (NHIS) has been “ethnicised and politicsed”. Yusuf was suspended on Thursday by the NHIS board but he resumed work on Monday despite protests from group of staff. Another group of staff protested in support of Yusuf, leading to intervention by a combined team of security operatives. Speaking on Channels TV’s ‘Sunrise Daily’ in Abuja on Tuesday, Shehu suggested that the suspension did not follow due process. “Did the board follow due process in suspending this gentleman? There are opinions that said ‘no they haven’t’. “Again, we all have to do the right thing all the time. I don’t deny the fact that there is a lot of work to do; [the crisis] is complicated by the fact that the whole thing about the NHIS has been ethnicised and politicised. Even a political party was issuing a statement on matters that are unknown to it. “Money from the NHIS is not money belonging to government, [it] is money taken from your salary, from my salary. If we have been enlisted, we are supposed to get treatments when we fall ill then you should ask the question in 13 years of the NHIS how many Nigerians have received the treatments. “Yet you have HMOs, these vendors, taking N5 billion every month, money that is just being shared and somebody came and said, ‘look, this can’t go on’ and with strong support from this administration the N5billion has been reduced to N1.3billion.